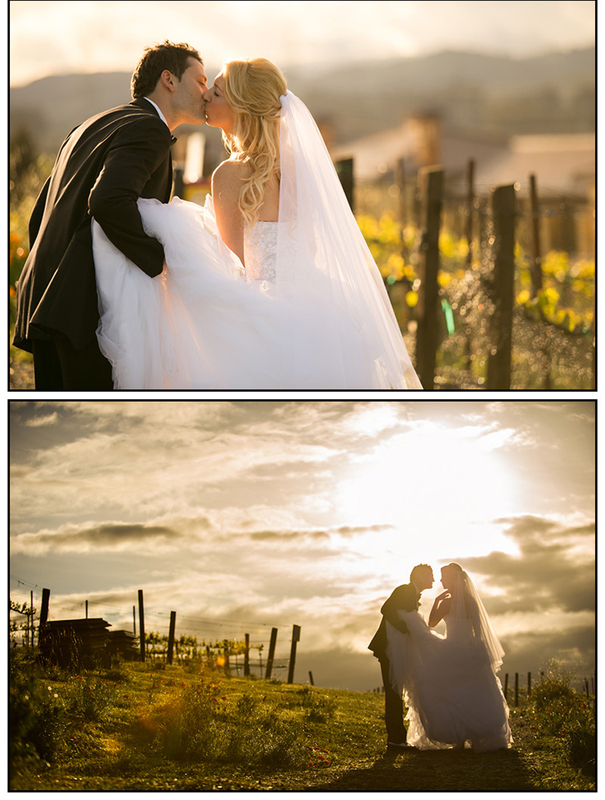 Audra is summer bride in Napa, she booked a WP makeup lesson- applying wedding makeup. She wants to do her own wedding makeup. 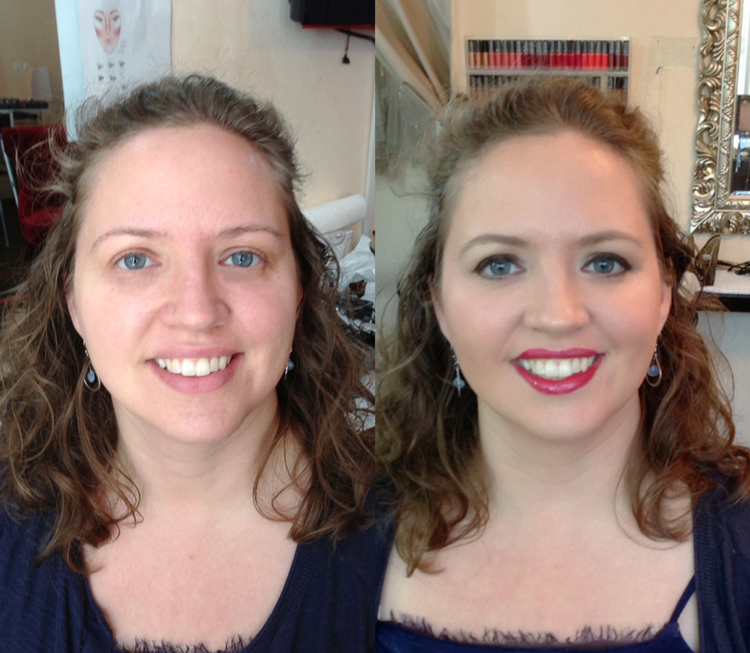 Before and after pictures done by Audra and this is the first time for Audra to apple her own makeup. 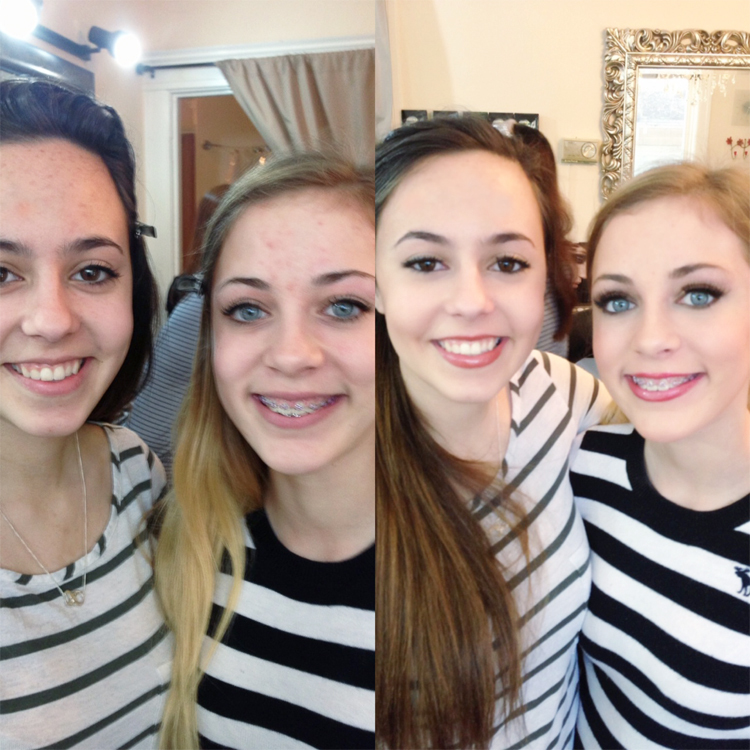 One of WP makeup lesson groups today, They are only 16 years old and look for a young fun look and learn lash application trick!! We have so many fun with them!!! 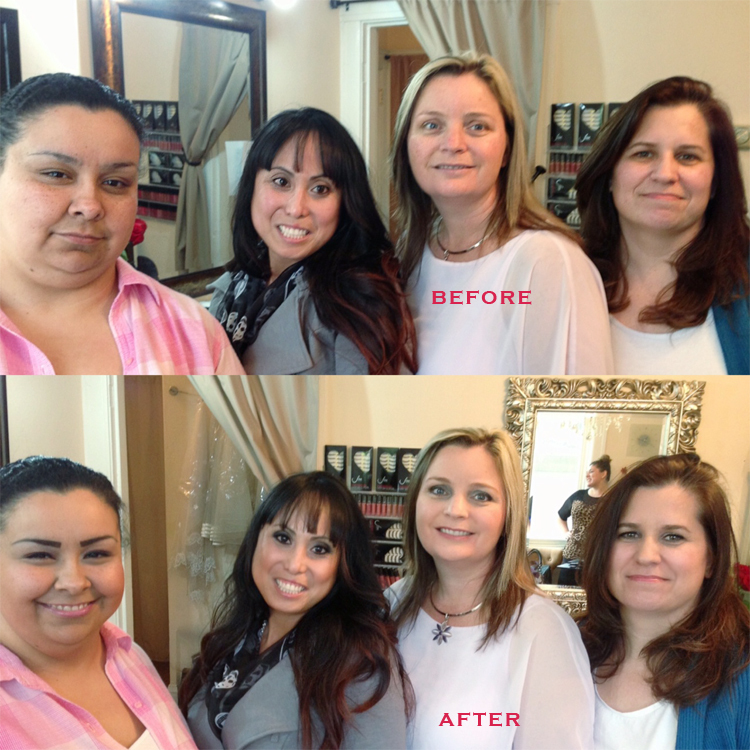 Here is before and after pictures, makeup done by Clients. 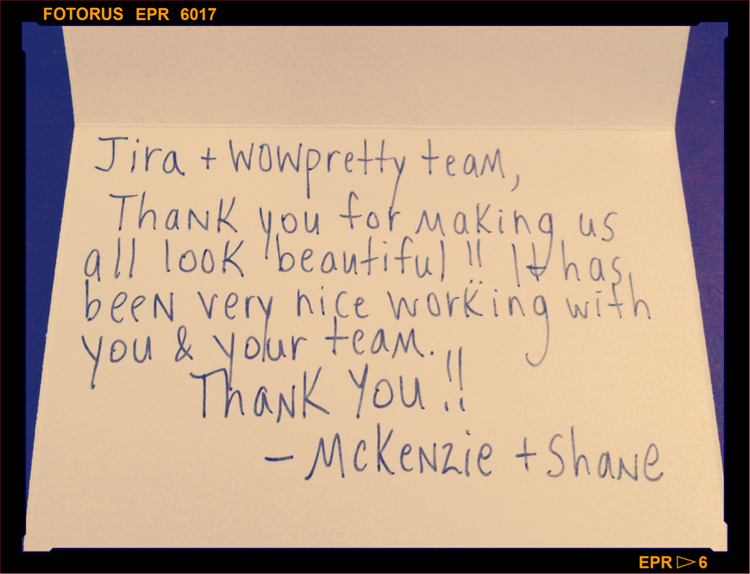 4 girl group today for the WP makeup class! 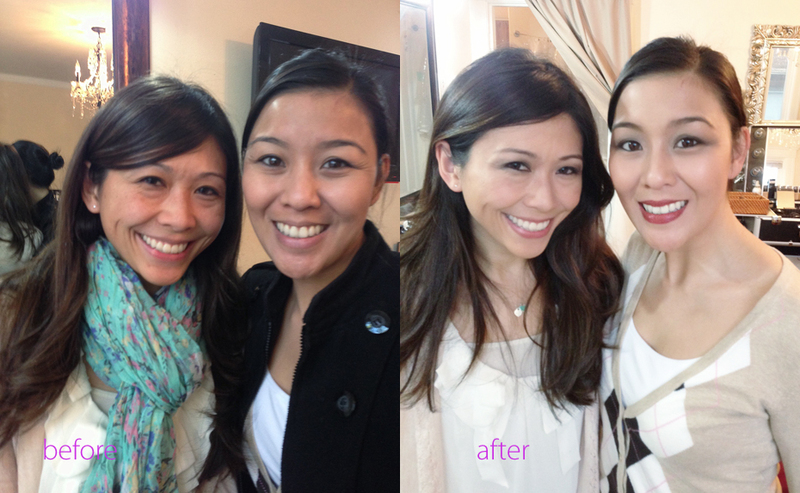 Sunshine of Wowpretty Makeup and Hair was the only instructor, but we had a blast!!! Our WP makeup student today is Naja! 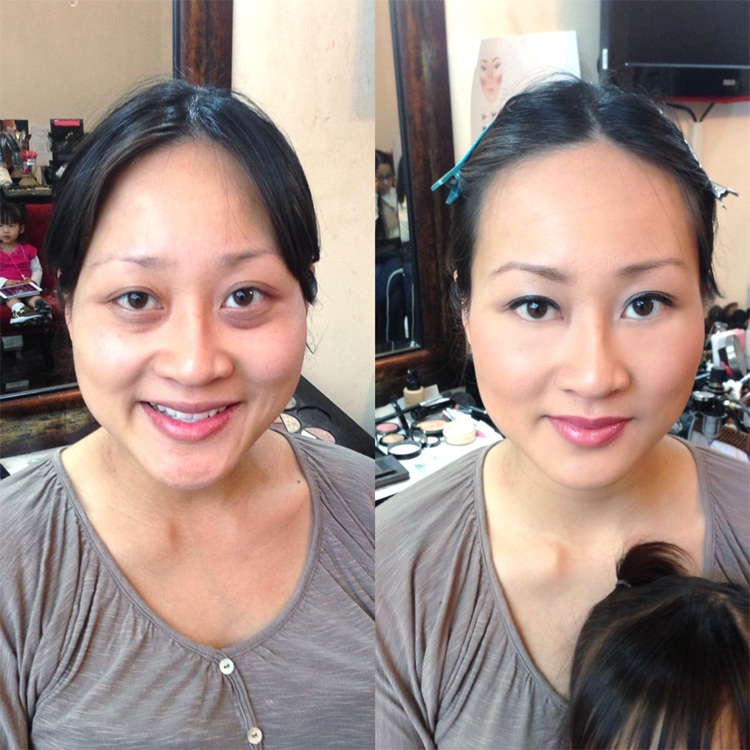 She’s a new mom who has a busy schedule… she came to class, and wanted to look flawless and lose the baggy eyes (after she had a baby, she didn’t sleep much). 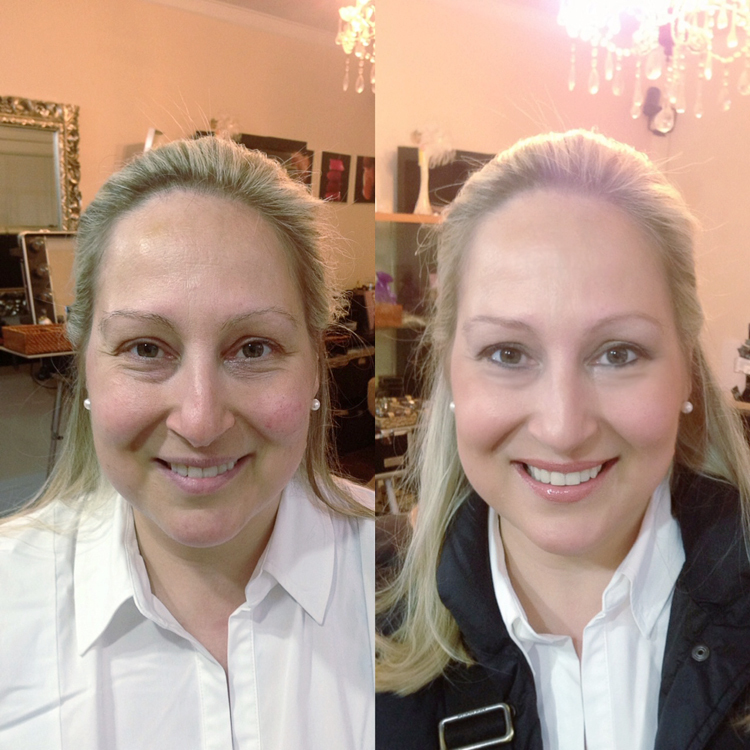 She wanted to learn how to contour her face and new eye applications. She said she got tired of applying the same eye application and same colors. Some makeup artists at department stores or some counters don’t know so much and didn’t understand what she really wanted! Sharon was a wowpretty bride in 2009, young mom. 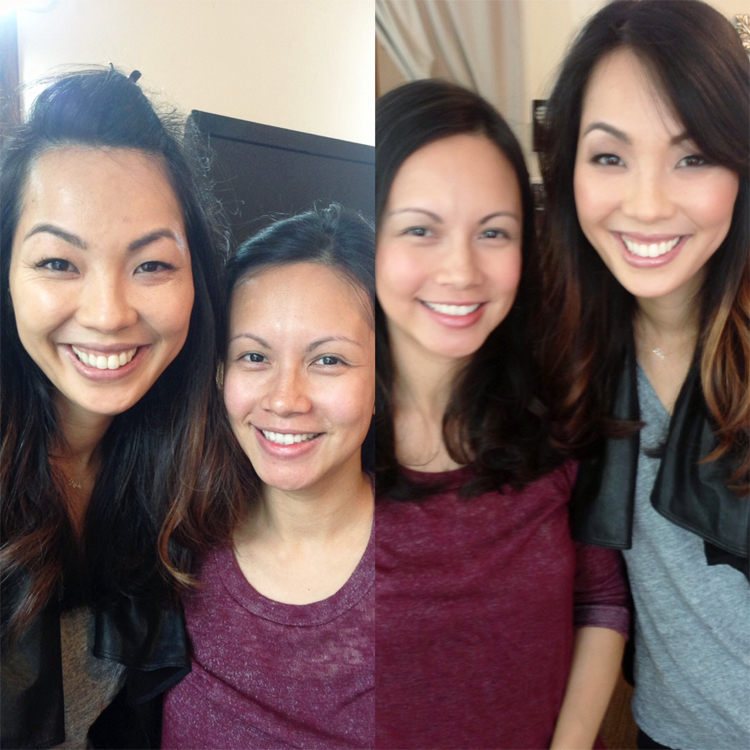 Today she came for the Makeup 101 intensive lesson with us. Sharon looks for both day and night looks and one for her family portrait, which is coming up next month. She would like to learn the clear smokey eyes look, lash application and the best take care of her dark circle under eyes. Can’t wait to post this before/after pic. Susie was a Wowpretty bride 3 years ago. 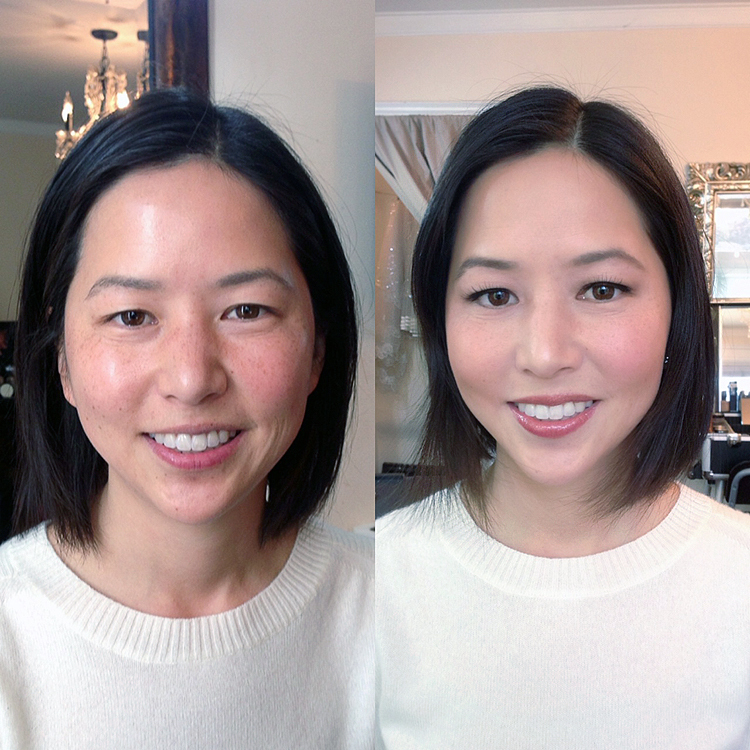 I remembered that Susie loves a super natural look and super light makeup application even on her wedding day… but today it is different. Susie is very brave and tried something opposite to her personality, she tried for light smokey eyes and fake lashes without foundation need. She did just first time on her own for the smokey eyes and fake lashes. I m so impressed that she can do this and well done! No matter what, if you really try, you can do it… I’m so grateful to have met Susie again.